I'm a beginner, is there a specific beginners class? No...all sessions are mixed ability, some more challenging than others (1* level would be suitable for beginners.) However as class size is small,all beginners will receive individual attention and guidance to help them learn and progress in their practice . I work shifts, do I have to attend the same session each week ? No...the studio tries to be "flexible" 🙂 Providing there's availability . What should I wear? Stretchy ,comfy gym clothes but avoid baggy tops,shorts & hoodies Yoga is practiced barefoot. Can I eat before a class? Yes...but it is advisable NOT to eat for 2 hours before hand. Should you need to, keep it light. 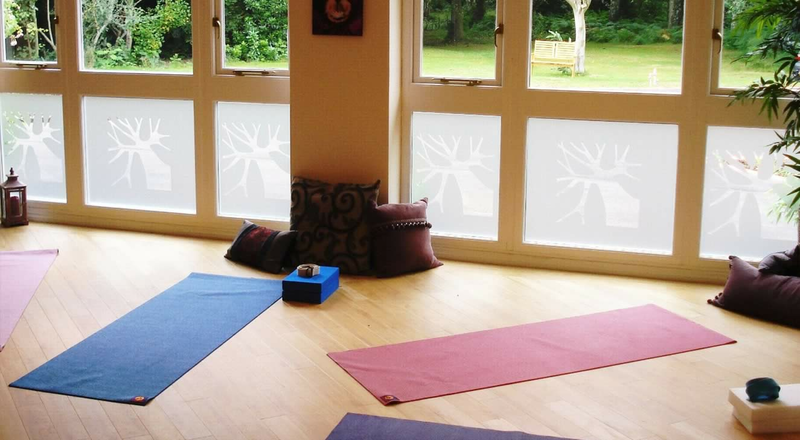 Do you run pregnancy yoga classes? No... Birch Tree Yoga does not offer any specific ante-natal yoga classes but recommends "Lucy Jasmine Pregnancy Yoga " Cosham . Is there anywhere to park ? Yes...ample off road, right outside the Studio and its FREE !! Do I need to bring anything? No...all equipment (mats, blocks,belts, blankets, eye pillows) is provided, but if you have your own mat do bring it along. - A single ‘drop in’ session ( by pre-arrangement) costs £10. Call or email to book . - The Studio operates a 48 hour Cancellation policy ,meaning that if you are unable to attend one week the class will "roll over" , and you will not lose the session. ( providing the correct amount of notice is given ) - No refunds are given for unused classes. - Private tuition & Corporate visits may be available upon request.